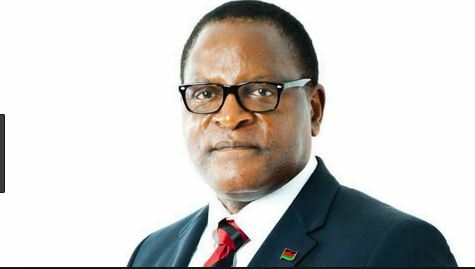 Reacting to the newly reshuffle of the cabinet, Malawi Congress Party (MCP) President Dr Lazarus Chakwera has described the new cabinet as a shameful, disgrace and also unprecedented insult to all Malawians who for the past four years have been waiting for the President to use his office for the betterment of this country. The MCP leader said his message in the statement released on Thursday is the last ditch effort to make President Mutharika listen as he seem reluctant to adhere people’s concerns. Firstly, Chakwera criticized the president on giving positions to people based on where they come from. “Mr President, your new cabinet is divisive. You have now made it clear by the lopsided regional distribution of cabinet seats that you are a tribal President, not a national one. Besides, you clearly have no interest in appointing people on merit, leaving our nation groping in the darkness of mediocrity,” said the MCP leader. He also lambasted the President for including only three women in a 20 member cabinet saying the development shows the new cabinet is oppressive to women who are many in population in Malawi than men. “This you have done despite the fact that you are supposed to be a “He For She Champion” and a Law Professor who knows that our laws require at least 40% of female representation in decision making. You are now thus a Professor Of Law-Breaking,” Chakwera said. Furthermore, Chakwera condemned the president for excluding the vice president who is also leader of United Transformation Movement (UTM), Dr Saulos Chilima simply because he exercised his constitutional rights to disassociate himself from DPP. “You are hindering him from doing his job, when you know fully well that he is still a member of your Government, and when you know fully well that he is drawing a salary and benefits for the work you are refusing to delegate to him just out of spite and pettiness,” said Chakwera. The opposition leader has also called out Mutharika for including in his cabinet DPP Regional Governor, Charles Mchacha who recently sparkled anger for describing women who support Chilima’s movement as prostitutes. He wondered if the move is to reward Mchacha simply for degrading Malawian women. Meanwhile, Chakwera has asked Mutharika to leave the office gracefully, voluntarily or else risk being booted out by Malawians come May 2019.